Noun: The branch of science that deals with the identification of the substances of which matter is composed; the investigation of their properties and the ways in which they interact, combine, and change; and the use of these processes to form new substances. Chemistry, a branch of physical science, is the study of the composition, properties and behavior of matter. As it is a fundamental component of matter, the atom is the basic unit of chemistry. Chemistry is concerned with atoms and their interactions with other atoms, with particular focus on the properties of the chemical bonds formed between species. 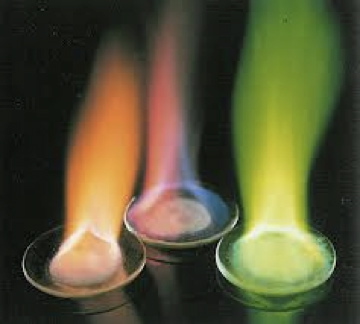 Chemistry is also concerned with the interactions between atoms or molecules and various forms of energy (e.g. photochemical reactions, oxidation-reduction reactions, changes in phases of matter, separation of mixtures, properties of polymers, etc.). Chemistry is sometimes called "the central science" because it bridges other natural sciences like physics, geology and biology with each other.